The book is divided into eight chapters, including one-pot meals, no-cook suppers and salads, fast finishes and happy endings. As well as recipes, each chapter includes tips and imaginative ideas for variations. Some chapters feature more ambitious recipes, with savoury and dessert dishes for parties. Anne also includes familiar ideas with a more unusual twist - such as roast cod with tropical fruit salsa and Moroccan crown roast of turkey - but the emphasis is very much on simple good food. 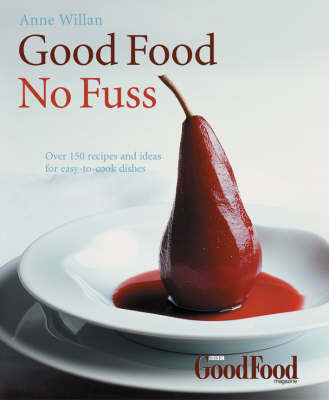 Illustrated with photographs from some of the UK's top food photographers, "Good Food: No Fuss" proves that it's possible to save time in the kitchen without compromising on quality and flavour.